I had problems especially with the larger crates: I made a nice looking thin ridge on the top of these big guys and in the end, it proved to be very easy to damage and builded up air bubbles like crazy. 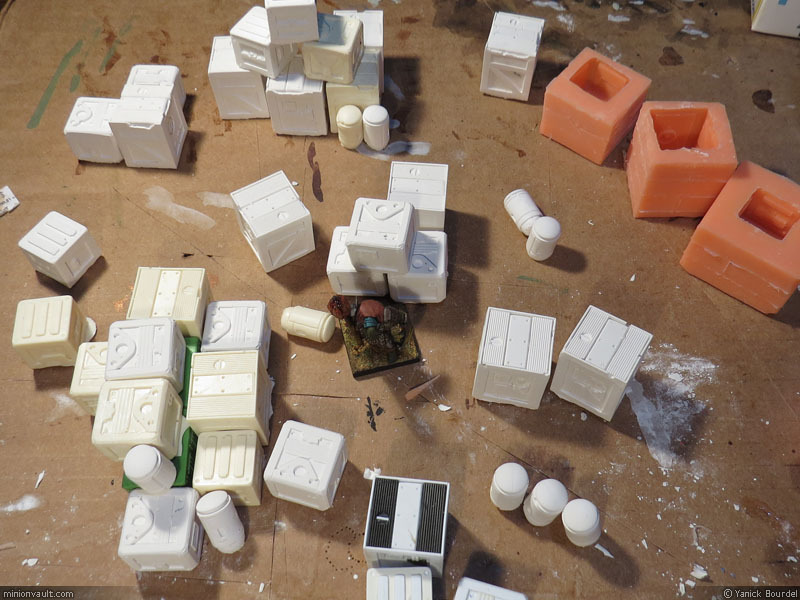 I guess I am learning the hard way what shapes are trickier to cast and mould (for a hobbyist like me anyway). 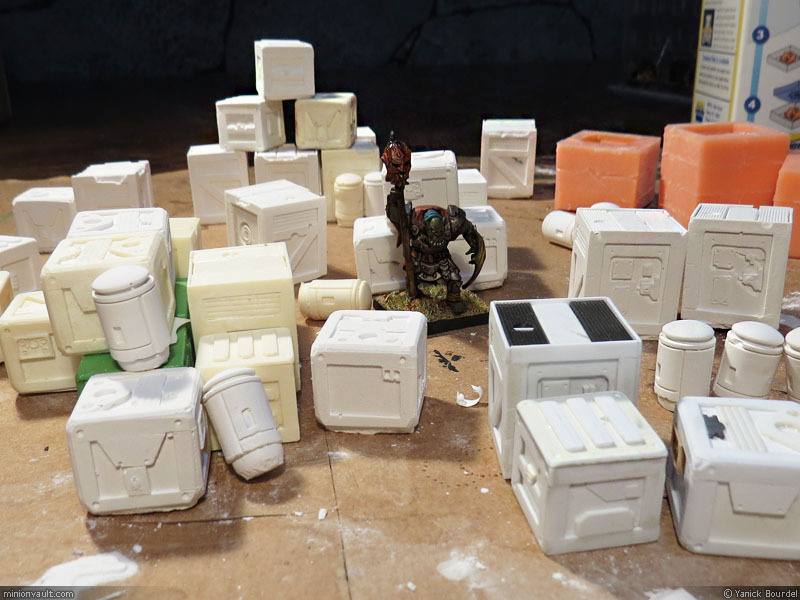 Overall, it’s ok: even the worst looking crates will still look fine once paint and weathering will be done. I still need to clean up the pieces you see on the photos: a little bit of shaving with an X-Acto blade and some sanding is required. I plan to make some oil drums, shipping palettes and other bits like that. 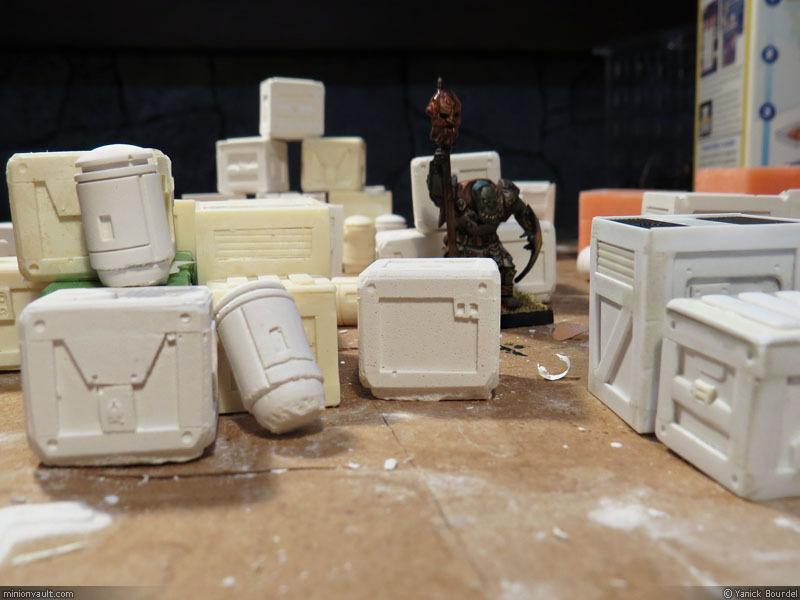 And when I’ll have enough stuff, I will make 2″ X 2″ and 2″ X 4″ stacks that will be nice on the gaming table, as parts of factory or industrial looking terrain (or spaceship cargo bay).